Passengers aboard a Norwegian Cruise Line vessel will soon be spending some quality time with Nintendo's newest console. 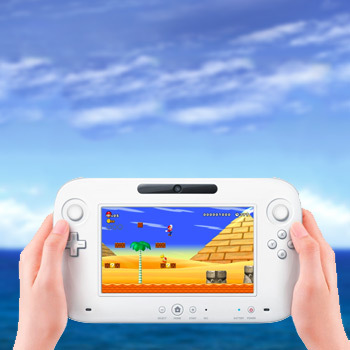 Norwegian Cruise Line and Nintendo of America have announced a partnership that will place a Wii U on every ship in the cruise line's armada. The console will be available in the ships' atriums and teen centers, and Norwegian is planning to kick off a series of Wii U-centric events and competitions. "Wii U provides one of the most social video game experiences you can have, whether you're playing with family members or friends," said Scott Moffitt, Nintendo of America's executive vice president of Sales & Marketing. "The ships in Norwegian Cruise Line's fleet give people a great opportunity to experience Wii U for themselves, have fun playing Nintendo games and make some new friends." Norwegian and Nintendo have had an ongoing relationship since 2007, when the Wii was incorporated into the fleet's entertainment package. So, the decision to upgrade isn't entirely surprising. But the console's current library isn't particularly cruise friendly, which may become a problem if Nintendo doesn't start selling units. However, Richard Ambrose, Norwegian Cruise Line's vice president of entertainment, obviously disagrees with me. "The Wii consoles have always been extremely popular among our guests," he said. "The new Wii U systems are guaranteed to take gaming on board to the next level, and will surely be a hit."